You can sign up online! As you scroll through our website you will find several opportunities to click on “register now”. You will have the opportunity to pay your deposit, or full payment to reserve your spot. We will follow up within 48 hours of receiving your payment with your training welcome materials. A $500 deposit is due upon enrollment to hold your spot by Wednesday, July 31st, 2019 in order to enroll in the Early Bird Payment Options. Your payment is due in full by the early registration date in order to receive the discounted rate. Full payment is required by October 4th, 2019 unless you are going with the Early Bird Payment Plan option. What style of yoga is the Yoga 108 Teacher Training? Yoga 108 will certify you to teach Vinyasa flow with Iyengar based alignment. Although Yoga 108 is a Vinyasa-based school, there is an equal focus on the Ashtanga Primary Series. All style of yoga will be introduced including, but not limited to: Kundalini, Pre & Post-natal, Acro, Restorative, Yin, Yoga for Athletes and more. How proficient in yoga do I have to be to do the 200 Hour training? Yoga teacher trainings ask a lot of the mind, body, and spirit. We ask that you have a minimum of 6 months of a consistent practice. This is to ensure that all trainees have a basic understanding, knowledge, and foundation of yoga poses before becoming a teacher. Please note, there will be a 2 + hour asana practice each day. What curriculum topics will be covered in the Yoga 108 Teacher Training? Exploration of different yoga styles such as Vinyasa, Ashtanga, Hatha, Yin, Restorative, Kundalini, Acro, and more. Learn how to create a personal practice that serves the needs of your lifestyle. Gain a solid understanding of how Yoga empowers you in all aspects of your life. Learn Asana technique, proper alignment, and benefits of each pose. Incorporate yoga history and philosophy into a modern context in your yoga class. Learn positive key words to use to make your students feel empowered, not defeated. Learn to create and teach inspirational classes with innovative sequencing for all levels. That’s perfectly okay! 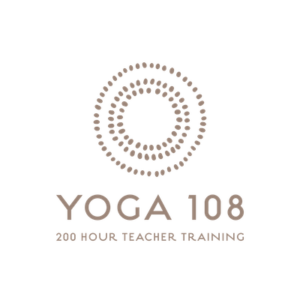 Yoga 108’s teacher training is perfect for those who want to deepen their understanding and knowledge of yoga and improve their practice. It’s a wonderful opportunity to have a transformational experience and find community. Can I take this training if I’m pregnant? Yes. Always listen to your body. If you have had an ongoing yoga practice before your pregnancy and have cleared it with your doctor you may take the training. I have an injury/special condition – can I still take the training? Please clear with your doctor that it is okay to embark on this 200 Hour training, and we will ask you to sign a waiver stating that you are able to take class. What is Yoga 108’s Teacher Training cancellation and refund policy? After putting down a deposit or paying in full, everything is non-refundable, however you may receive credit for another training with us in the future. What are the 200 Hour graduation requirements? Where do I practice during the training? Yoga 108 Teacher Training is a school, not a studio. Our trainings are hosted at Wellborn Lifestyles in Sherman Oaks. During the 10 weeks of training, you will be responsible for practicing at a studio of your choice. There are 6 hours of outside practice required during the training. You must be at least 16 years of age. If you are between the ages of 16-18 years old we must have written consent from your legal guardian 30 days prior to the training. Do you help organize transportation for students without cars? We do not organize accommodations for students who are without automobiles, however we do give out a list of everyone’s emails a month before the training begins and suggest carpooling for those students who are not in the Valley. Are any books and materials included in the price of the 200 Hour Teacher Training? How many are enrolled in each teacher training at one time? Anywhere between 10-12 students. 12 is the maximum amount the facility will hold for our training. What is the attendance and class make-up policy? Yoga Alliance requires that you complete all 200 hours of the teacher training. However, we understand that sometimes conflicts come up, and we have developed the make-up policy listed below. 100% attendance is required, but in case of emergency where a class needs to be made up, the student is responsible to make up the hours in the time frame of the course. Arrangements must be made with the instructor, and if having the instructor present is required then student must pay the instructors hourly rate for their time. Please note: Only two sessions of private instruction, regardless of hours, are allowable and are subject to trainer availability. The remainder of your missed time will need to be made up in a future training (see Make Up option 2 below). Private make up sessions are only an option during your current training and are not an option once the program is complete. Option 2: You can attend the days you missed in an upcoming training of the same format in another Yoga 108 training, free of additional class training charge. You have one year from your program end date to complete your make up classes. If the training is sold out, you will need to wait for a future training with space available to complete your make up(s). How much time should I expect to spend on homework? Expect to spend 3 hours a week on written or online homework. This course work is expected to help you hone your skills as a practitioner and teacher. Yoga Alliance is an organization that was started in 1999 as a way to create nationally recognized standards for yoga teachers and yoga teacher trainings in the US. More and more yoga studios across the country are requiring their teachers to register with the Yoga Alliance, either at the 200-Hour or 500-Hour level. Yoga Alliance registration, however, is not a legal requirement for teaching yoga. Currently there are no legal certification requirements to be a yoga teacher. 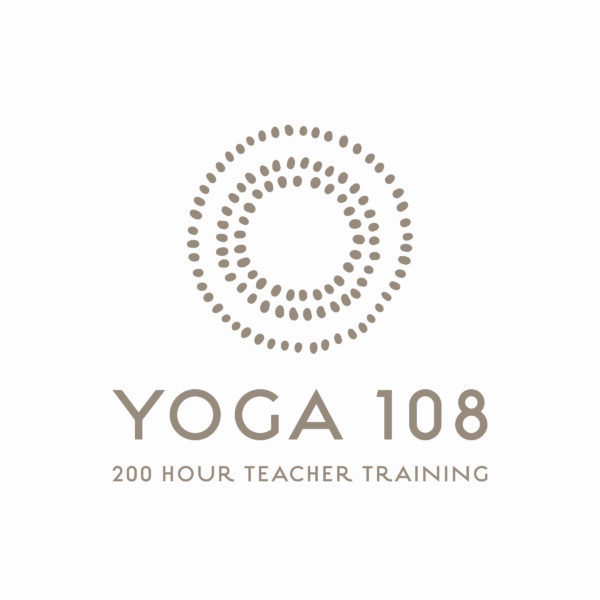 Will I be qualified to teach yoga once I complete Yoga 108’s 200-hour teacher training program? Yes. You will be certified AND more importantly, qualified by Yoga 108 and Yoga Alliance to teach yoga anywhere in the world upon successful completion of all requirements of the program including contact hours, homework, practicum, required weekly practice, and exams. You will receive your certificate as evidence that you have completed our program and can register with Yoga Alliance. We will go over the business of yoga to explain how to register and how to get started teaching after graduation, and you will have to opportunity to teach community classes at The Yoga Co-Op LA. What forms of payment does Yoga 108 accept? Yoga 108 accepts, cash, check, Venmo, and all forms of credit card as payment Any payments made with PayPal will have a small fee. Please see our pricing page for more information. Yoga Teacher Training. 200 Hours of Mind, Body, & Spirit.